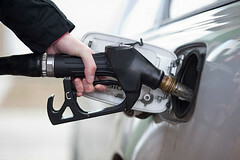 WELLINGTON – From this weekend on, petrol will be more expensive in New Zealand, as new taxes come into force. Earlier this week the New Zealand government passed the third reading of a bill to levy a regional fuel tax in the country’s biggest city. The new regional fuel tax will allow the Auckland Council to charge a tax of NZD 0.115 on each litre of petrol sold in the Auckland region. The money gathered from the tax is aimed at helping fund new infrastructure developments, and to ease the monetary burden felt by the government in paying for roads in Auckland. Along with the new regional tax, the government hopes to enact a new nation-wide tax from October 1st, which will be levied at a rate of NZD 0.035 per litre of petrol. It is expected that by 2020 the new taxes will result in the average household in New Zealand spending an extra NZD 2.50 on petrol each week, while households in Auckland will spend an extra NZD 5.77 per week. The taxes are causing significant controversy, as fears arise that petrol companies will raise prices across New Zealand to help combat any decrease in sales in Auckland. Further, suggestions have arisen that the new tax will result in higher costs for fruits and vegetables, as farmers and farm vehicles are not exempt from paying the tax at the pump.